Macau-based gaming operator MGM China Holdings Ltd issued on Tuesday a media invitation for what it termed the “grand opening” of its Cotai property MGM Cotai on February 13. The firm had previously flagged such an opening event on that date. GGRAsia approached the company asking for confirmation on what facilities would be launched at the property as of that day. We had not received a reply by the time this story went online. The company subsequently contacted GGRAsia to say it would not be commenting further on that topic. On Tuesday, the Macao Government Tourism Office (MGTO), the body responsible for licensing hotel operations in the city, confirmed to GGRAsia that it has approved the hotel licence application for MGM Cotai. “MGTO received the opinions from relevant technical departments on February 6 and has approved the licence application [for MGM Cotai],” the tourism bureau said in an emailed statement. On January 31, MGTO director Maria Helena de Senna Fernandes said her department could not guarantee a licence for the hotel at MGM Cotai ahead of Chinese New Year. Chinese New Year in 2018 falls on Friday, February 16. The Macau casino market typically sees a spike in gambling in the Chinese New Year festive period. The HKD27-billion (US$3.45-billion) MGM Cotai is the second Macau property developed by MGM China. According to a note issued by investment bank Morgan Stanley last week, MGM Cotai is to open with approximately 1,400 rooms and the casino at the property will feature 177 mass gaming tables, 950 slot machines and 200 electronic table games (ETGs). The casino resort had initially been slated to open in early 2016 but the date had been revised several times since. In a Monday note, Morgan Stanley had said that – were MGM Cotai’s casino to open only at the end of February – it would require a downward revision in some key 2018 performance estimates for the resort. MGM Cotai’s “smaller footprint and room sizes, and fewer tables” compared to neighbouring rival properties Wynn Palace, promoted by Wynn Macau Ltd; and the Parisian Macao, from Sands China Ltd, suggested lower potential regarding MGM Cotai’s earnings before interest, taxation, depreciation and amortisation even after the new venue was fully operating, said analysts Praveen Choudhary, Jeremy An and Thomas Allen. The Macau government has allocated under its table cap policy a total of 125 new-to-market live-dealer gaming tables to MGM Cotai, 25 tables fewer than the 150 allocated to, respectively, the Parisian Macao and Wynn Palace, which launched in 2016. The Morgan Stanley analysts expected that the VIP gaming clubs in MGM Cotai run by junkets would start operating by mid-year 2018, with 27 units of mansion accommodation at the hotel also opening around that period. 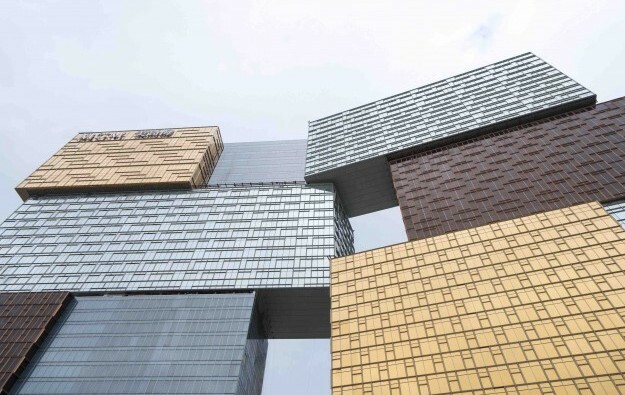 The bank said it believed that MGM Cotai may experience a slower ramp-up compared to its peers “due to the late opening of casino/VIP tables and a lower number of tables being allocated”. The Monday note also revised upward the institution’s projection on the number of VIP tables likely to be introduced to the property; from 60 to 77 by mid-year 2018. The analysts added they expected that 12 “direct” VIP tables – VIP gaming tables for players directly handled by the gaming concessionaire rather then via a junket intermediary – would be functional on the day that MGM Cotai starts its operations.